"I love this primer. It keeps my eyeshadow in place all day. Not only do I have oily lids but I have many creases on them, and even after the time I had my make up on for almost 12 hours my eyeshadow was still in place without the product breaking apart on my eyes. I love this primer and the next time I buy it I will have to stock up especially since the primer is inexpensive. " "Amazing. Super high quality brushes!" "My overall experience was great. It was an easy purchase and quick delivery. The products are wonderful. I’d buy again! " "I love the fact that with one application that’s right no double Dipping I was able to get full coverage on both top and bottom lips. I ordered 10 liquid lipsticks with my first purchase and wish I would have purchased more. " 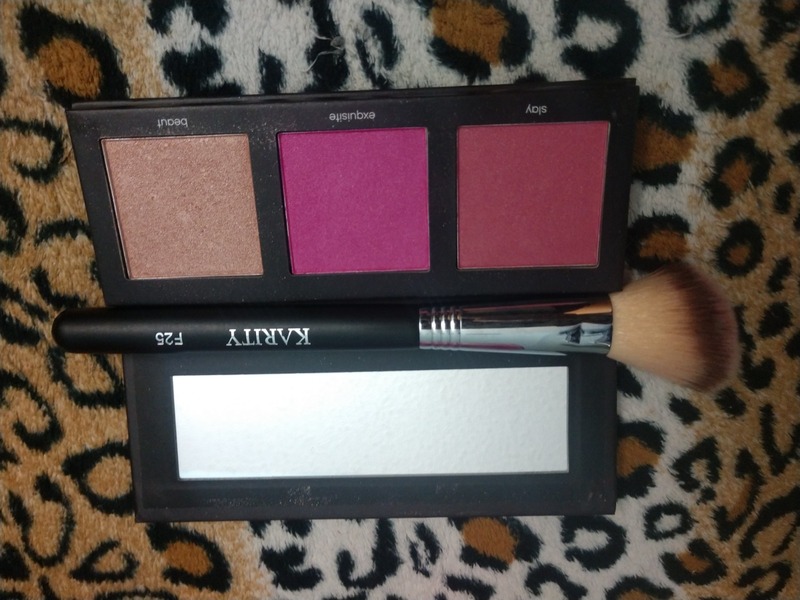 "I absolutely love this palette! Was sketchy about purchasing online, but it’s well worth it. Will be buying more from this line. " "As an aesthetician and makeup artist I'm always on the lookout for new and exciting companies and products for myself and my clients. I have purchased several Karity products, the newest being their lipglosses. As with everything else I've tried, they are beautiful! Smooth, creamy, good color payoff, and not sticky! Keep up the good work!" "I looove all the colors in this pallet! They last all day and they're just so vibrant and beautiful!! 😍😍"
"This palette is so pretty the shimmers are my favorite. I got a matte lip stick called ginger spice the formula is amazing and it’s only $6!!! Definitely buying lots more. And the brush I got in E26 is great too perfect for smoking out that under eye "
"Wow...these lipsticks are everything! Long lasting, great pigment, variety of colors. A must have!!!" "This color was very nice against my skin tone and the texture was amazing as well!" 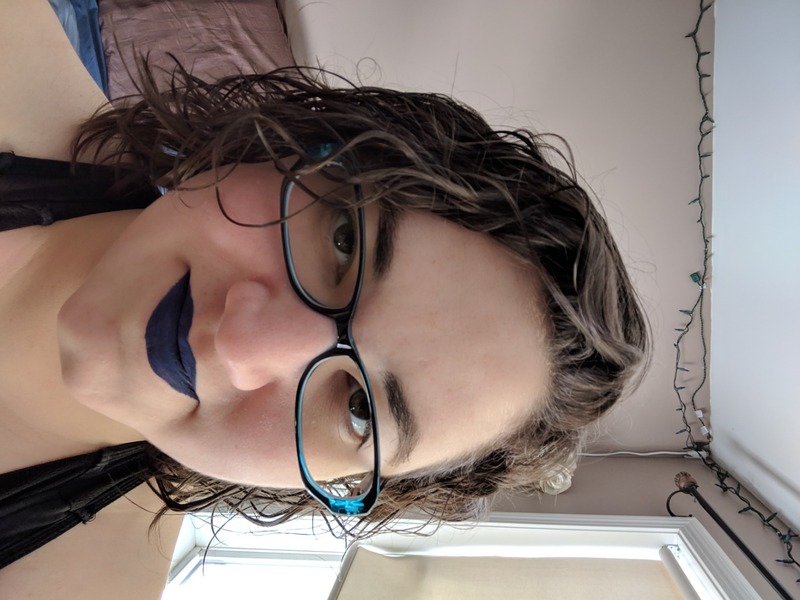 "As with all the shadows I have bought from Karity, this one is bright and often only requires a single application to achieve the desired color." "Son de excelente calidad y duración...amo su gama de colores." "Great, affordable products that help a good cause!" "Great! All the dark colors seem to work the best. The perfect color to go with navy blue. " "I love the feel of this liquid lipsticks and it’s staying power." "Beautiful colors and easy to blend. " "Amazing products! Very pigmented and blend-able. I have all the eye shadow palettes and almost all the Liplocks! The Karity highlighters are out of this world! Can’t wait to try the blush products next!! " "Picante is a game changer! 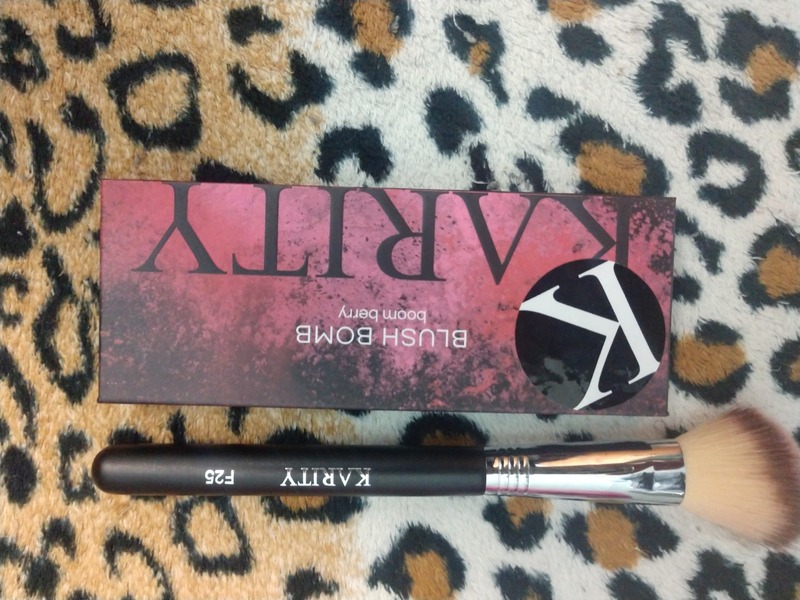 I love the palette and I love Karity "
"They work wonders and are very soft "
"I absolutely love this palette!!! The colors are AMAZING and you don’t need to use other products (eye primers, etc) for the pigment to really pop and stay in place. 10/10 recommend to any and everyone, no matter what level of makeup expertise you may have. " "I really liked the pallete. It is very pigmented for the money. Just a fair warning, if you have a lighter skin tone, the shade bella may not show up as well. But overall, I loved the others shades. If you are looking for a versatile, everyday makeup pallette that wont break the bank, this is the one for you." "Love them and they came fast great colors can’t wait to buy more "
"Great quality for a great price"
"The Blush Bombs are da bomb, like , seriously the pigments and colors in the pictures do not lie. Boom Berry has 2 gorgeous shades and a complementary highlight that is so beautiful. If you are fair, don't bother but I'm light to medium and I have to use a Very light hand. Medium and deeper skin tones will love this as much as I do!!! The packaging is so cute and very sturdy, it's cardboard material but well made. It feels sleek and slim, good to travel with fo sho and looks tré chíc 💗"
"I absolutely love both the palette and lipstick I ordered ! The colors are super cute and exactly what I wanted. The lipstick stood on for the whole day, such a beautiful color ! Thank you so much Karity !! I will definitely keep buying ! " "Love your variety of pallets and the pigmentation of the eye shadow 👌🏽💕"
"Loved the color and it really stay all day ." "This new color was a wonderful as the rest of my Karity lip colors. And still pizza proof"